What €220,000 will buy you? In reaction to the Central Bank’s proposed cap on mortgage lending, most of the news outlets have been focused on the €220,000 threshold for the 80% cap and what it can buy you around the country. The Irish Times shows us a 2-bed apartment in Smithfield Dublin 7 asking €220,000, a 3-bed duplex in the Cork suburb of Ballintemple for €215,000 and a choice of detached 4-beds in Co. Laois and Co. Longford. TheJournal.ie raked their sister site, Daft.ie, for similar options but also threw in average property prices for the area. North City Dublin’s average property price is €282,899 but you can buy this 3-bed apartment in Santry for €220,000. Dublin City South’s average property price is €307,337 but you can find a bargain 2-bed in Rathfarnham for €220,000. Heading down to Cork City where the average price is only €182,007, TheJournal.ie also recommended the same 3-bed duplex in Ballintemple that The Times picked out. Going further afield, TheJournal.ie picked out a grand 4-bed detached house on half-an-acre in Milford, Co Donegal overlooking Mulroy Bay. Average local prices are just €114,000. It makes a compelling case for many young first time buyers to look outside of Dublin for real value to be had. The Times follows on with the latest property price inflation reports to forecast that Cork will outstrip Dublin for house price rises in 2015. Initially it sounds unlikely but if you note that in 2014 it only lagged the capital by 0.1%, and in light of yesterday’s Central Bank ruling which will hit Dublin far harder than Cork, it might just be a safe bet. Cork has suffered from a severe shortage of property for sale which has driven a double-digit rise in the last 12 months, and although there are a number of new homes sites beginning to get started, it’s unlikely any volume will be completed this year. Speaking of new homes, the Construction Industry Federation came out yesterday to say the recent uncertainty surrounding the Central Bank’s ruling has “effectively stopped housebuilding”. Projects that were in the works or may have been started have been stalled all over the country as our members wait to see how this plays out. Typically housebuilders are reliant on First Time Buyers as purchasers and any impact on their ability to get finance will have dramatic implications on whether new homes are worth building. Within Dublin the 80% cap will hit what were originally viable schemes, while outside Dublin it’s still hard to justify construction while it costs more to build a new home than to buy an old one. The CIF also makes an interesting point about access to finance. If First Time Buyers now need much larger deposits they may be forced into the arms of alternative provides – and potentially illegal sources such as money lenders. We saw David Hall from the Irish Mortgage Holders Association raise this also this morning – a fearful potential result of the Central Bank’s intentions. Which is probably true but the are the bedrock of a market that was all swept up in the exuberance of the property market. But he reminds us that the measures are not just there to protect us from the banks… but the banks from themselves. BreakingNews.ie has more from the minister and the IPAV who also point out what this will do to the rental market. The Independent also was the first to comment on the 3.5x income cap, rather than the 20% deposit being the major problem. Clare Cullen, a First Time Buyer desperate to get on the ladder in Dublin who now has to significantly lower her expectations, despite having enough deposit, because her and her partner’s combined income will only stretch so far. Ben discussed this yesterday as the hidden killer in the Central Bank’s rules. Finally, for some welcome relief, The Irish Times has covered MyHome.ie’s recent blog post listing the 10 most viewed homes in Ireland last year. 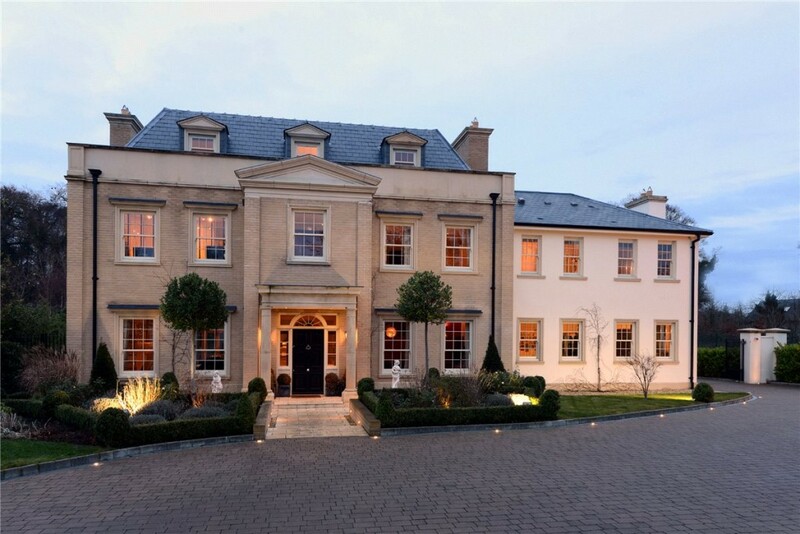 The winner was the former residence of Ronan and Yvonne Keating. The 6,286 sq ft house in Malahide took almost the whole year to sell, going on the market in January 2014 and finally sold in December for €2.45 million. You can view it here. Number two on the list has another spectacular multi-million euro residence, Sorrento House in Dalkey. However the next three spots were taken up by fairly attainable properties, albeit all new builds. College Square in Terenure, Belmont in Stepaside and Forest Hill in Cork showing the demand for nicely finished new builds is strong out there.